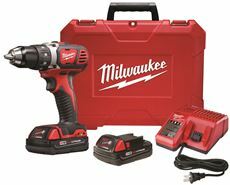 MILWAUKEE� M18� COMPACT DRILL DRIVER KIT, 1/2 IN. 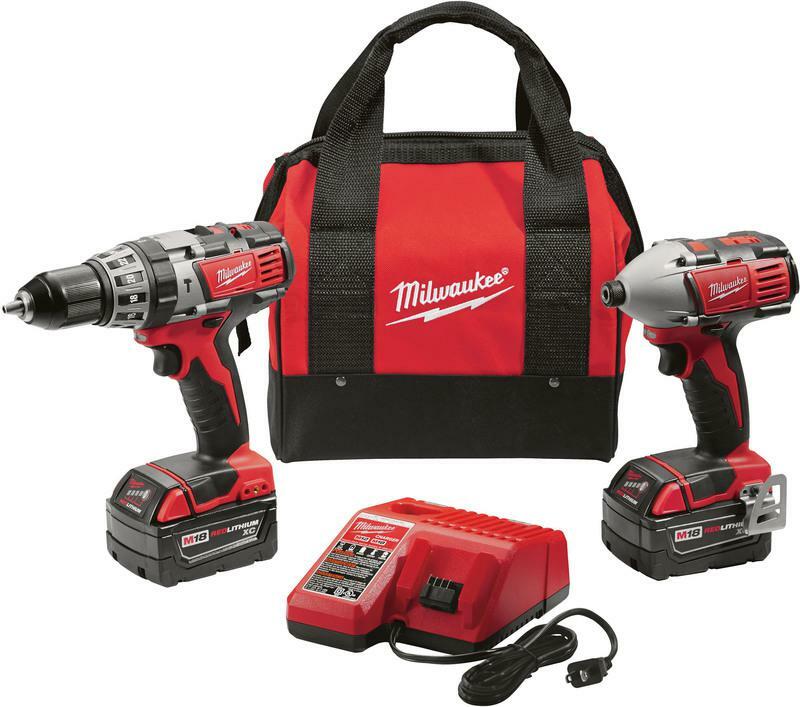 MILWAUKEE� M18� COMPACT DRILL DRIVER KIT, 1/2 IN. 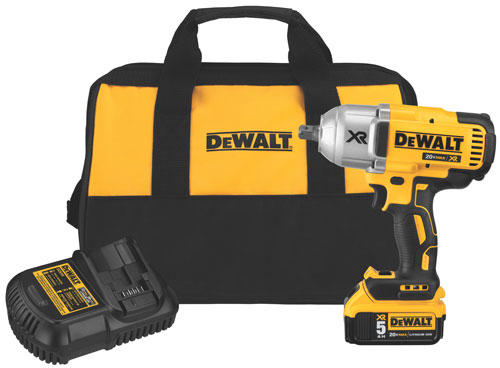 12V Cordless Drill with Stud Sensor and Storage Bag. 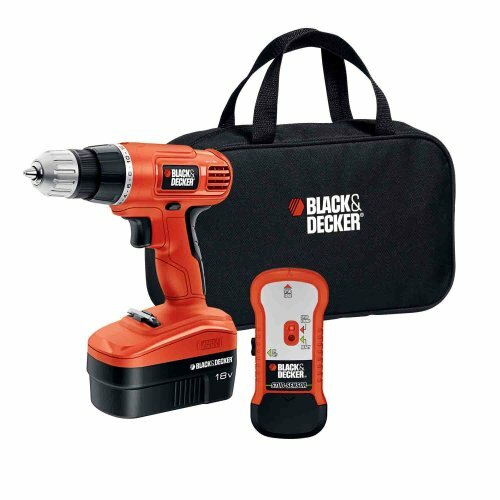 This Black & Decker Cordless Drill has variable speed plus reverse for controlled drilling and driving in diverse materials. 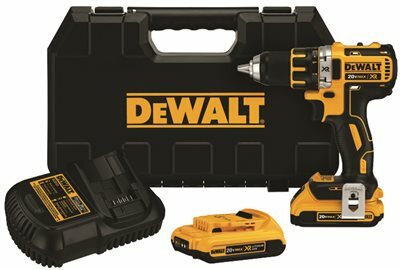 Stud Finder detects studs through walls up to 3/4" thick. 24-position clutch keeps screws from stripping. Easy-in easy-out slide pack battery. Soft grips enhance comfort and reduce slipping. 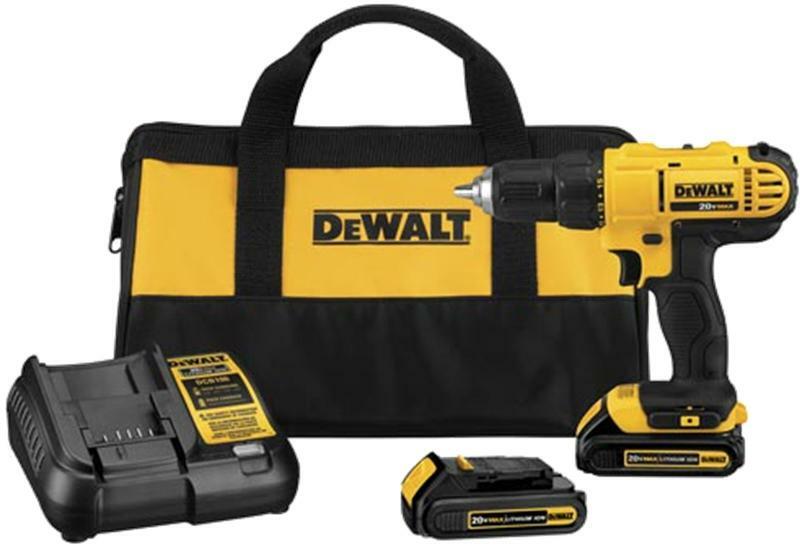 Includes HPB12 18V Battery Pack DC Plug Charger Stud Finder and Storage Bag. 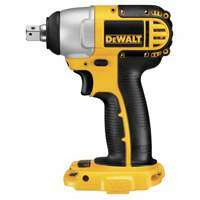 Use for drilling holes through wood metal and plastic and screwdriving into wood metal and plastic. Orange with Black This item cannot be shipped to APO/FPO addresses. Please accept our apologies. | At 1800 in-lbs. 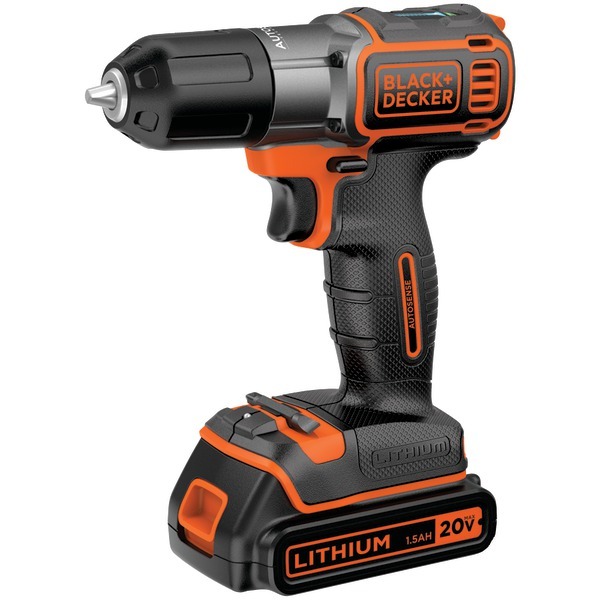 of fastening torque, this tool drives screws faster but also provides greater control over power and speed thanks to its proprietary 4-mode DRIVE CONTROL� | The POWERSTATE� Brushless Motor delivers up to 0-3,000 RPM with constant power output to drive screws faster | REDLINK PLUS� Intelligence is the most advanced electronic system on the market, preventing damage to the tool and battery caused by overloading or overheating | REDLITHIUM� XC5.0� Batteries deliver more work per charge and more work over the life of the pack than competitive batteries on the market | Delivers 0-850 RPM in Mode 1, 0-2100 RPM in Mode 2, and 0-3000 RPM in Mode 3 | Self-Tapping Screw Mode is designed to reduce walking when starting self-tapping screws as well as reduce overdriving, breaking, and stripping out screws | Includes belt clip and bit holder | Bare tool- no battery included | 18V | 2.1 lbs. 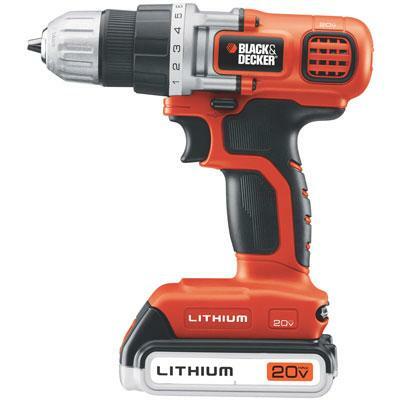 Black & Decker 20 Volt Max Lithium Drill/Driver with it's no memory Lithium Ion Battery is always ready. It holds a charge up to 18 months. By providing an extra level of control the 11-postion clutch prevents stripping and overdriving screws. An LED work light illuminates the surface for easier drilling in dark places. 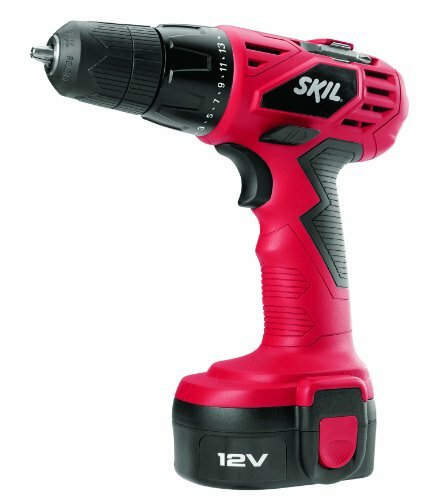 Its compact and lightweight design allows users to carry out drilling tasks in confined spaces and with ease. 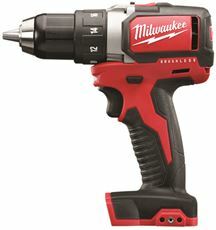 115 inches-per-pound of torque 650 rpm Comes with one double-ended bit. This item cannot be shipped to APO/FPO addresses. Please accept our apologies. 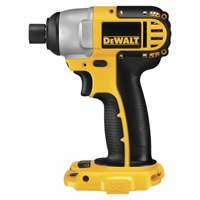 Use the Pro-Series Cordless Screwdriver around the house to hang paintings and family photos, or in the craft room or shop for hobbyist and do it yourselfers. 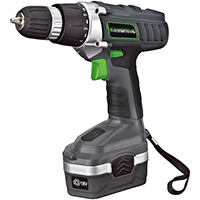 A forward/reverse button gives you the ability to tighten and loosen screws. 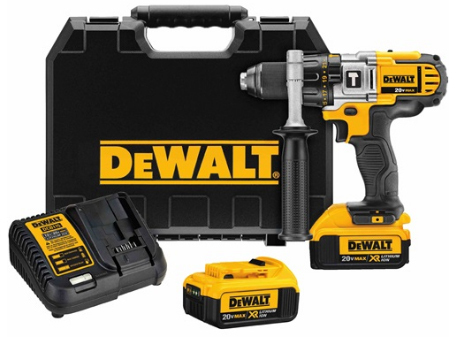 The magnetic bit holder and driver make switching between the 11 included bit tips easy. 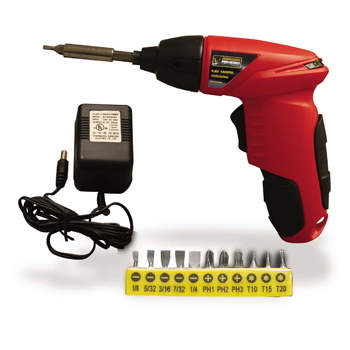 The rechargeable screwdriver comes with an adapter which can recharge the battery in 3 to 5 hours. 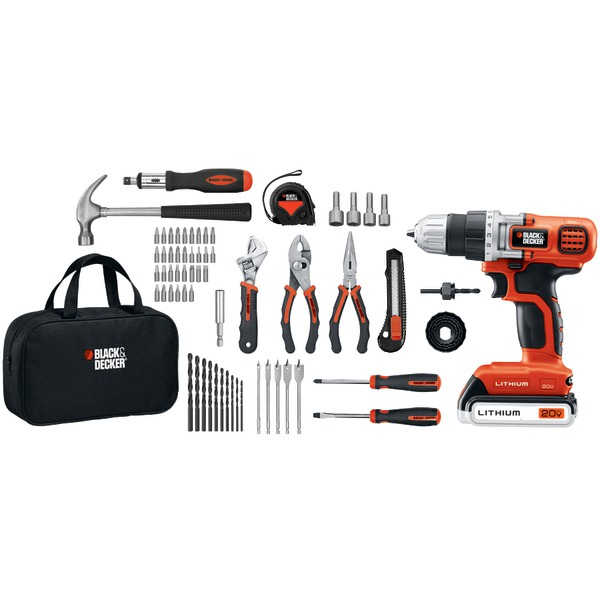 WORX SWITCHDRIVER 20V SWITCHDRIVER 2-Chuck Drill. 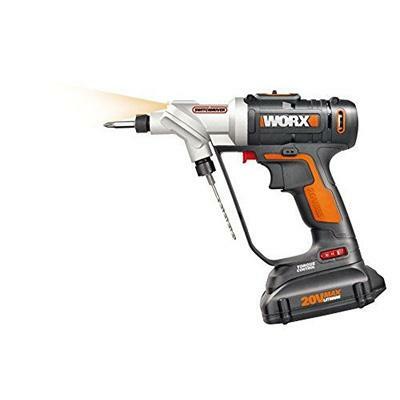 The Worx Switchdrvier is a compact cordless drill driver that holds two bits simultaneously. 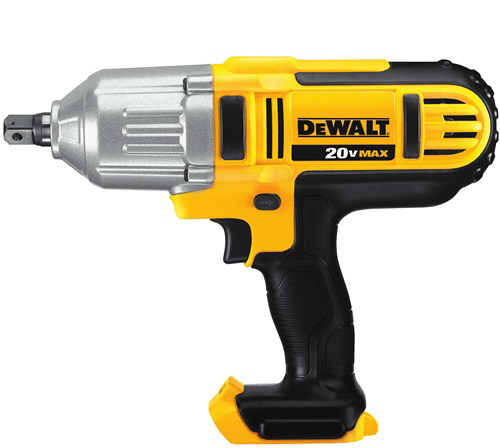 Drilling a pilot hole then driving a screw has never been as quick or convenient. 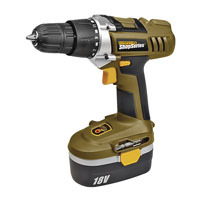 FEATURES:Rotating dual chuck makes switching between two drilling or driving bits faster and smoother than ever. 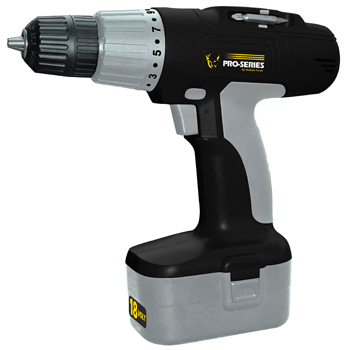 Precise electronic torque control prevents stripping screws and damage to work surface. 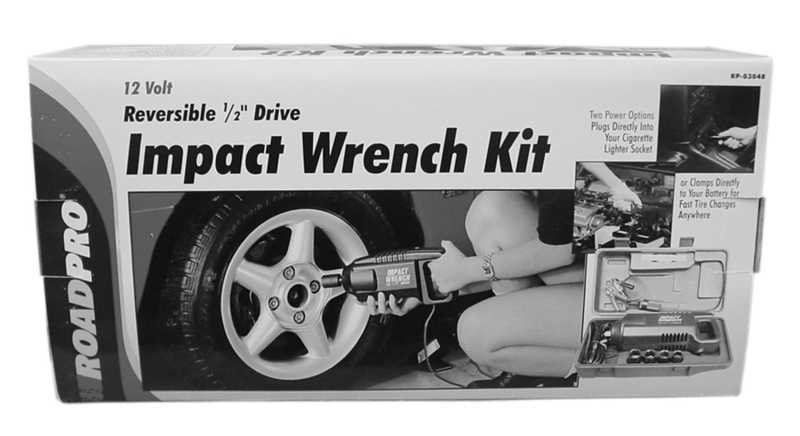 >Variable 2-speed gearing tackles all common drilling and driving applications. Toolless 1/4 hex quick change chucks for easy bit change-out. Built-in automatic LED light illuminates work area. This item cannot be shipped to APO/FPO addresses. Please accept our apologies. 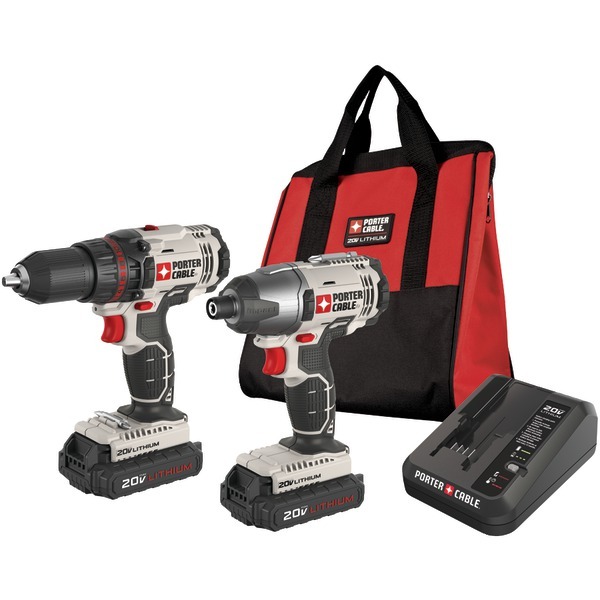 Rockwell Shop Series 18V Cordless Drill/Driver Kit (2) Batteries. 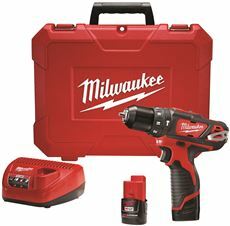 This 18V 3/8-inch drill/driver kit has 135 in-lbs of max torque. 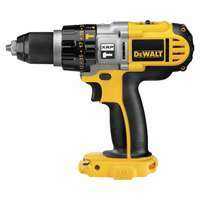 It has a 2-gear system which provides fast drilling or high torque to tackle all drilling jobs. The battery capacity clearly indicates the battery status at all times. The LED light increase visibility which is great for dark or enclosed areas. 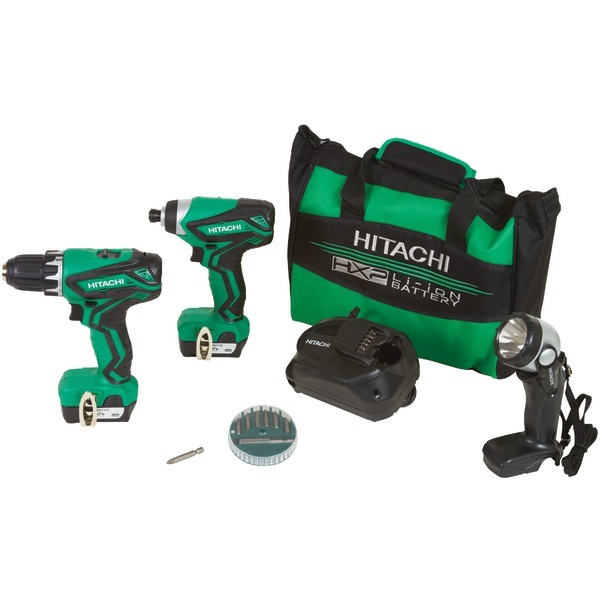 This kit includes 2 batteries 2 double ended bits a 3-5 hour charger and carry bag. 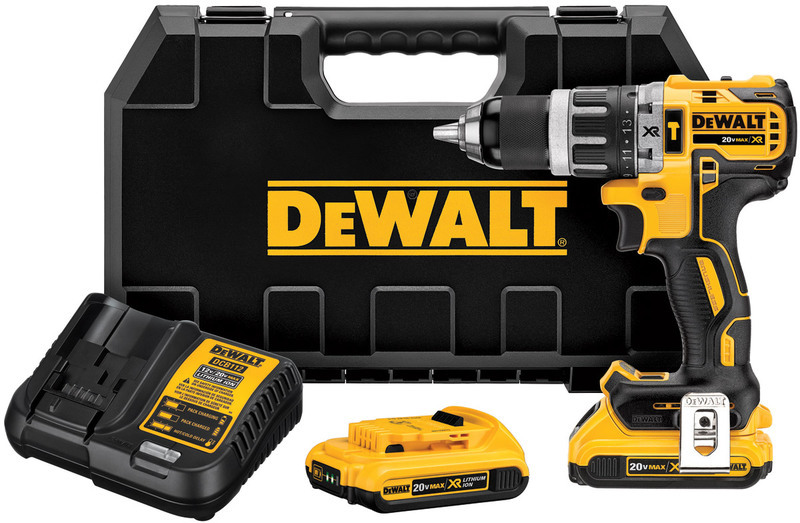 FEATURES: 3/8 Keyless chuck. 15+1 Clutch positions with a max torque of 135 in-lbs. Variable speed control with forward and reverse bit rotation. On-board LED light. Battery capacity indicator. This item cannot be shipped to APO/FPO addresses. Please accept our apologies. 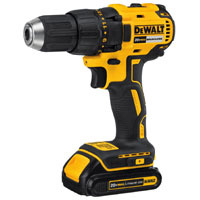 DEWALT 20 V MAX XR lithium ion brushless compact drill/driver tool only. Metal 1/2 In. ratcheting chuck for superior bit gripping strength.